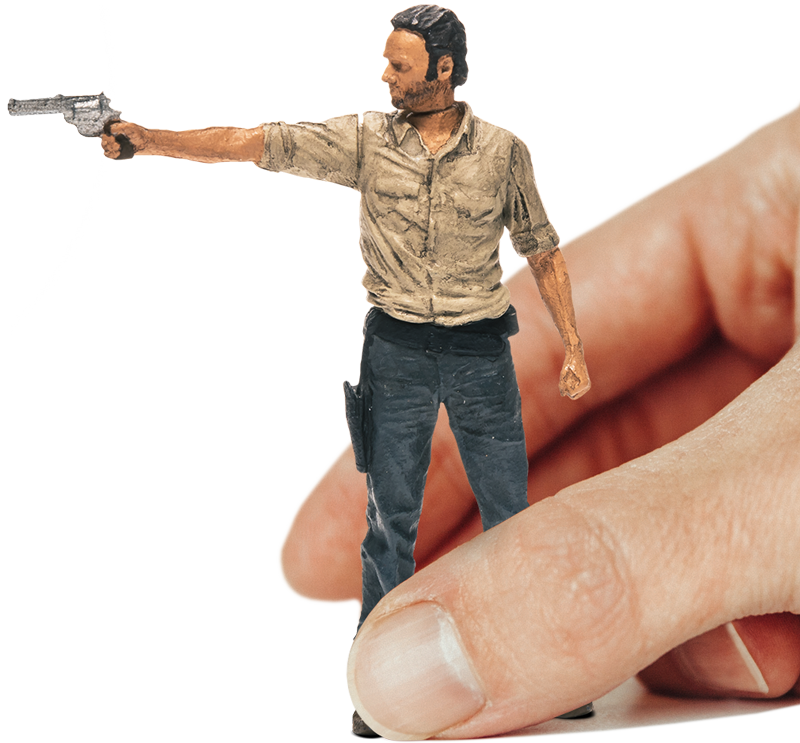 McFarlane Building Sets :: The next big thing is smaller than you expected. Twenty years in and we’re at it again. With these new builds, see for yourself how we’ve filled the artistic void in yet another toy store aisle. Light-up features, immaculate detail, iconic environments, and convincing sculpts. All at an unpredicted size. No kid stuff here. Add multiple characters to your scenes, combine builds, collect the sets, and enjoy your beautiful creations. Build them up, then tear them down. Or don’t. NO PURCHASE OR PAYMENT IS NECESSARY TO ENTER OR WIN. A PURCHASE WILL NOT IMPROVE YOUR CHANCE OF WINNING. Begins July 23, 2014 at 9:00 PM EDT and ends October 31, 2014 at 11:59 PM EDT. Must be 18 or older and a legal resident of the 50 United States or D.C. Odds of winning depend on the number of eligible entries received. See official rules for prize descriptions/restrictions/ARVs, how to enter, additional eligibility requirements and full details at: Official Rules. The trip must be booked by July 31, 2015 and travel must be completed by August 31, 2015. Blackout dates apply. Void where prohibited. Limit one (1) entry per person, per email address for the duration of the Sweepstakes. Sponsor: McFarlane Toys. P.O. Box 12230, Tempe, AZ 85284-0038. Be Social…Spread the Word About our new McFarlane Building Sets! Fan-favorite Daryl Dixon is a lone wolf survivalist who has proven time and again to be a vital sentinel for Rick Grimes and his group in an unpredictable and perilous apocalyptic world. This building set includes a highly detailed replica of Daryl’s chopper, roadside base with highway guardrail, road sign, customizable weeds, Daryl and Walker. The charismatic leader of the seemingly utopian town of Woodbury. But beneath his well-meaning façade is a man with dark intentions and even darker secrets. Before the zombie apocalypse, prison was a place where freedom was taken; but for Glenn and the rest of the Atlanta survivors, it’s the place that restores their sense of freedom and safety from the hordes of the undead. This building set includes the iconic guard tower, shed, barbed wire fence, gate, light post, weeds, discarded filing cabinet, Glenn Rhee, Female Herd Walker, and Crawler Walker. The Walking Dead © 2014 AMC Film Holdings, LLC. All Rights Reserved. © 2014 McFarlane Toys. All Rights Reserved.